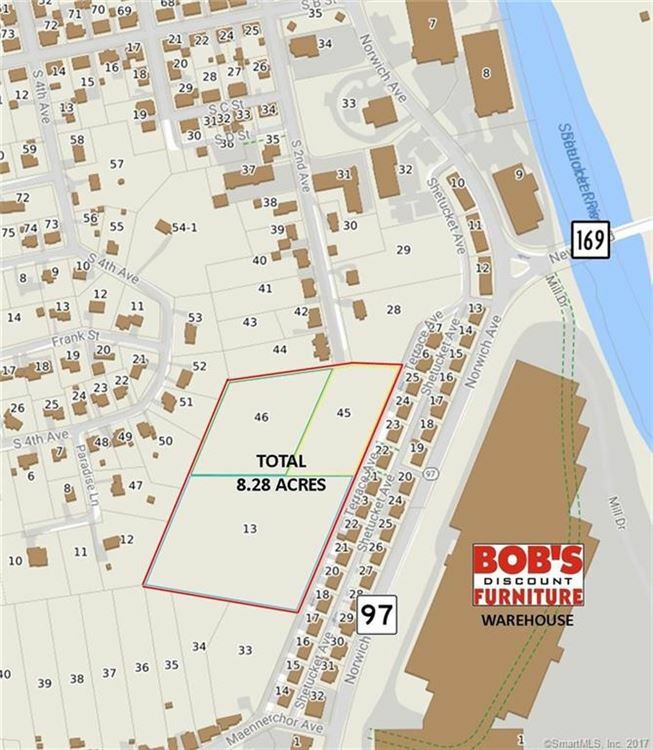 142 South 2nd Avenue, Norwich, CT Residential Lots Property Listing | Realty Seven, Inc.
Three lots total 8.28 acres. Ideal for apartments and multi-family. Pre-approved for 76 units. Public Water/Sewer/Gas are available in street. Zone R20. Access from South 2nd Ave, easement to Maennerchor Ave. Surveyor maps available. Asking $495,000. I-395 Exit 18. Right on Route 97 aka Taftville-Occum Rd. Becomes Norwich Ave. Turn right onto South B Street, just before the Knights of Columbus. Take 2st left onto South 2nd Ave. At very end of cul-de-sac. $2,198 would be your approximate monthly principal and interest payment.